Set up and tear down quickly and easily. With its Patented (US.Pat. 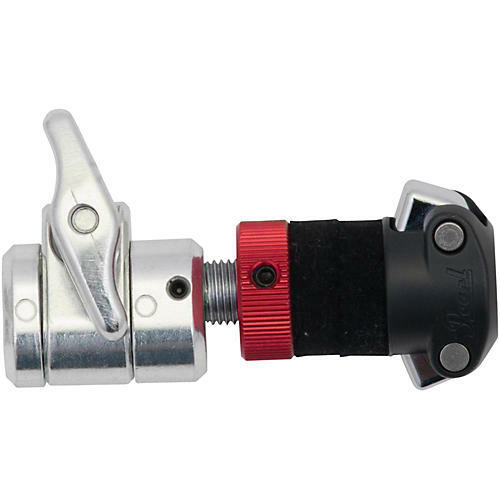 9355625) quick pinch-and-release function, the Pearl Rapid Lock Super Grip Hi-Hat Clutch is the fast set-up/tear-down solution every gigging drummer has been waiting for. Easily pinch both sides of the bottom locking nut to release and place top hi-hat cymbals, and adjust cymbal feel with the locking top adjustment nut.